Yesterday, I shared a couple of cards using the delightful Perennial Birthday stamp set on my blog post. Today, let's take a closer look at the Perennial Birthdays Project Kit that coordinates with that stamp set. The kit will not only help you create 16 pretty cards, it also helps you organize your birthday cards, so you'll never forget to send out another birthday card again! Too Cool! Stampin' Up! 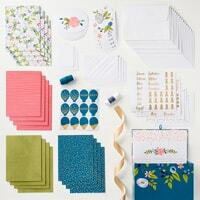 has created the perfect birthday card kit for getting all your cards organized! The Perennial Birthday kit combines all the makings of 16 delightful cards and a handy perpetual birthday calendar, all stored inside of a lovely storage box! It may very well be one of my favorite Stampin' Up! project kits yet! Sweet Storage Box—Is this box adorable, or what?! I love the pretty design that's printed all all sides of this sturdy box, and the elastic loop closure keeps your cards securely inside. Divider Cards—The monthly dividers are pre-printed with lines corresponding to each day of the month, so you can keep track of whose birthday is coming up and when. The gold foil accents really dress up the dividers! Each card has a number on top, 1 through 12, but I added the foil month stickers on these tabs. Keeping Organized—Depending on the thickness of your cards, I'd guess the box will hold about 20-24 cards. You'll have plenty of room to store cards that are ready-to-send for the next few months! Kit Contents—Inside the box, you'll find all the pre-cut parts and pieces to create 16 lovely birthday cards, 4 each of 4 different designs! The card bases are pre-printed with color and gold foil with white on the inside for writing. It also includes pre-printed accents, gold foil accents & stickers, Dapper Denim Baker's Twine, Gold Satin Ribbon, envelopes and full-color instructions sheet. I think it's an amazing value at only $27! 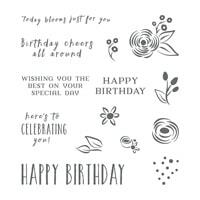 Perennial Birthday Stamp Set—The Perennial Birthday stamp set is designed to coordinate with the Card Kit, and is sold separately. The images are so sweet, and you'll use the sentiments over and over again, long after you've created the kit projects! Perennial Birthday Project Kit—Take a look at the Perennial Birthday Project Kit in action! Holly from Stampin' Up! walks you through the kit and has some tips for assembly! Assemble Your Kit With Friends—Wouldn't it be fun to gather up some friends and make these cute cards together? Let me help! Party With Me In Fort Wayne Area—If you're local to me, I'd love to lead your Perennial Birthday card class! Invite your friends, I'll bring the Perennial Birthday stamp set, ink & adhesive, and we can have a fun afternoon or evening of creativity! Plus, as a host, you'll be able to earn lots of Stampin' Rewards on the purchase of the class kits! Host Your Own Party—It's easy to gather up friends and have your own Perennial Birthday card class! Stampin' Up! has done all the work for you! Invite your friends, order one Perennial Birthday stamp set, and enjoy making cards anytime! Contact me and I'll coordinate the party order, so that you'll earn Stampin' Rewards on the purchase of the class kits! 4 Old Olive Balloon Birthday Cards—These masculine birthday cards have a textured diagonal die-cut background layer, with Dapper Denim & gold balloons. The Dapper Denim Twine ties all the balloons together, then you'll stamp the birthday greeting onto the gold foil outlined banner in Dapper Denim as the finishing touch. 4 Blooming Bouquet Cards—The pre-printed floral label is popped up over a Calypso Coral striped card base. The sweet banner sentiment is layered over Gold Satin Ribbon and accented with a Dapper Denim twine bow. 4 Dapper Denim Blooms Cards—Gold Satin Ribbon and Dapper Denim Twine accent the gorgeous gold foil dotted Dapper Denim card base. The pre-printed oval has pretty stitched and gold foil details and a stamped sentiment. 4 Wisteria Wonder Falling Blooms Cards—A lovely card base, pre-printed in full color coordinating blooms with elegant gold foil accents. Stamp the sentiment onto the pre-printed, foil-accented tag, then layer over ribbon and top with a twine bow. All the cards are so quick & fun to make! Contact me today to schedule a party during Sale-a-Bration! Birthday Card Organizer Class—Only 6 Spaces Left! CLASS: Dec Stamper Sampler Class—Birthday Card Organizer. December 15. CLASS: Dec "Last Thursdays"—December 29. CLASS: January Stamp-of-the-Month—Featuring Four Feathers. January 8. Year-End Closeouts—Dozens of items up to 80% off. Occasions Catalog & Sale-A-Bration Kickoff Party! Start the New Year off with a MEGA Stamping Celebration showcasing brand new products from the 2015 Occasions Catalog! Create 20 DIFFERENT CARDS featuring dozens of new stamp sets, papers, tools and embellishments, as well as Sale-A-Bration FREE selections! Win Door Prizes & Earn Special Rewards! Register by December 31. See complete details. Limited Space Available For This Event! Contact me today to register! I'm so excited about my Birthday Card Organizer class coming up on Monday! Have you signed up yet? You have until Sunday, December 14 at 5pm to let me know. There are only 6 spaces left for this class, so hurry to get your spot! Make one for yourself or as a lovely & handy gift! Today, we'll take a closer look at all of the details of the calendar. Inspired by Patty Bennett at Patty's Stamping Spot. The Birthday Card Organizer is both a perpetual birthday calendar and card organizer all in one! How handy! It features the soft pastel patterns of the Lullably Designer Series Paper that fold to create 12 pockets to hold cards for each month. Inside the organizer, you can add names next to dates for birthdays, anniversaries and other special dates to remember year-to-year. Once you make a card for that special occasion, tuck it away in that month's pocket until it's ready to give. My photos show some sample cards, but they are not included in the class. You can also use the pockets to hold notes about what gifts you've given each year, wish lists for recipients, or receipts for gifts. Page Assembly—I used half a package of the Lullaby DSP for this project, one of each of the different patterns. Each 12" x 12" page is scored at 4" on my Simply Scored board and folded to create a pocket at the bottom of each sheet. Then I scored that folded page down the center at the 6" mark and folded it so that the pockets were on the outside. Now you have a double-sided page that will represent 2 months in your organizer. Stack all of the pocket pages together to create the guts of the book. Calendar Pockets—I covered each of the pockets with the appropriate calendar page that I printed from this download that I found at Patty Bennett's Patty's Stamping Spot blog: Download Calendar_organizer_months. I printed it on regular copy paper, so as not to add any extra bulk to the organizer. TIP: I added my calendar printouts AFTER the organizer was bound, so I had less chance of messing up the order...not that that would happen to you! Organizer Cover—Before binding, you'll want to create the front and back covers. The pages are folded to an even 6" x 8" size, so I cut 6-1/8" x 8-1/8" pieces of chipboard for the covers. TIP: I like to save the chipboard from my Designer Series Paper Packs to use for these types of projects. Cover Background Stamping—I stamped an image from Flowering Flourishes several times on a piece of 4-1/8" x 8-1/8" Coastal Cabana with Coastal Cabana ink, then adhered it on the right side of the chipboard cover with Fast Fuse. I adhered a 2" x 8-1/8" piece of Baked Brown Sugar to the cover on the spine edge. Ribbon Accent—I wrapped some Hello Honey Stitched Satin Ribbon around the cover at the seam where the card stocks meet. It's tied in a double-knot and trimmed for a faux-bow. Back Cover—I added the same card stock to the chipboard for the back cover, with minimum stamping from Flowering Flourishes. Wire Binding—Once all the pages are folded and stacked, and the chipboard covers are in place, I punched and bound the edges with my Zutter Bind-It-All machine according to the directions. My photo shows 3/4" o-ring binding, but for the class, we are using 1" o-ring wires to allow more room for holding cards in your organizer. The more cards you plan to keep in the pockets, the wider the binding you will need. If you don't have your own binding system, you can take it to your local office supply store for binding. Cover Décor—Once your organizer is bound, it's time to decorate the front! I started with a Oval Accent Bigz die-cut from Whisper White as the focal point. I used the Metro Type Alphabet to add the "cards" title and stamped a Crisp Cantaloupe Flowering Flourish underneath. The accent is attached to the front with Dimensionals. Beautiful Blooms—The pretty flowers on the front are created with the Flower Patch photopolymer stamps and coordinating Flower Fair Framelits. Bundle It & Save—Purchase the Flower Patch stamps and Flower Fair Framelits together in the Flower Patch Bundle and save 15% off the cost of purchasing them separately! Bouquet Blooms Details—All the flowers are stamped on Whisper White and are die-cut with the Flower Fair Framelits unless indicated. Large Flower—Stamped in Crisp Cantaloupe ink, die-cut and popped up with Dimensionals. It has a Hello Honey center, die-cut with the Flower Fair Framelits, then popped up with Dimensionals. Two Smaller 5-Petal Flowers—Stamped in Coastal Cabana ink, then the skinny 5-point flower is stamped over the top in Bermuda Bay ink. The flowers are die-cut and popped up with Dimensionals. The tiny center is stamped in Baked Brown Sugar, punched with the 1/2" Circle Punch, and popped with Dimensionals. Top Flower—Starburst flower is stamped in Hello Honey, die-cut and popped. The center is Crisp Cantaloupe and is die-cut with the Flower Fair Framelits. Compound Leaves—I stamped the large solid leaf image in Pistachio Pudding, then over the top with the branch of leaves in Wild Wasabi. They are die-cut and tucked under the blooms with SNAIL. Single Leaves—I filled in a little empty space with a Pistachio Pudding small leaf, die-cut and tucked under with SNAIL. I finished all of the blooms with Rhinestone Jewel accents. Want to join us at the Birthday Card Organizer class or get a Class-To-Go? Grab one of the last spots by tomorrow! See class details. Create a handy Birthday Card Organizer featuring a perpetual birthday calendar! Each page represents one month and includes a calendar to mark important birthdays, anniversaries and special dates, plus it has a pocket to hold cards for those occasions! Class-To-Go Kits are available. See Complete Details on the Birthday Card Organizer Class! Register by December 14 at 5pm. All the supplies you need to create 5 beautiful cards in one kit—just add inks & adhesives! Kit includes the pretty, versatile Four Feathers stamps and Framelits Bundle & white cotton ribbon. You'll also receive supplies to create 5 cards with envelopes at no extra charge! It's a FREE holiday bonus exclusively from Too Cool Stamping! Class-To-Go Kits are available. See Complete Details on the Four Feathers Class! Register by December 22, 2014. CLASS: Santa Buckle Stocking Stuffer Class—Earn a FREE Class Kit! Online Extravaganza—Now thru December 2! 25% Off Starter Kit—Now thru December 2! November 24 thru December 2, 2014! While supplies last! Shop The Deals At My Online Store! FREE Santa Buckle Stocking Stuffer Class Kit when you place a minimum $50 order at my Online Store during the Online Extravaganza using the Hostess Code ZMHEV3BW. See complete details. Starter Kit Is 25% Off—Ends Tomorrow! For only $74.25, select $125 worth of Stampin' Up! products AND receive FREE SHIPPING! Plus, receive 5% cash back on all December orders! Ends December 2, 2014. Earn A FREE Santa Buckle Stocking Stuffer Class Kit when you purchase a Starter Kit during the Online Extravaganza. See complete details. Purchase A Starter Kit Now! Tomorrow is your last chance to take advantage of the special deals during the Online Extravaganza! But, don't wait...today only there are Door Buster Deals, while supplies last! Order Now From My Online Store! Introducing...December's TC Stamper Sampler Class! Start the New Year off a little more organized by creating this handy Birthday Card Organizer featuring the soft colors from Lullaby Designer Series Papers! This cute & convenient spiral-bound note book is both a perpetual birthday calendar and card organizer all in one! Each page represents one month and includes a calendar to mark important birthdays, anniversaries and special dates, plus it has a pocket to hold cards for those occasions! Create One For Yourself, or To Give As A Gift! What—Assemble & decorate a spiral-bound birthday calendar & organizer. Local Class Fee—$20, OR it's FREE when you place a $50 order by December 14, using the following Hostess Code: 2Z9XDZXW. RSVP—By Sunday, December 14, 2014, at 5pm EDT. Please Note: $50 minimum order (before shipping & tax) for FREE class cannot be combined with other workshops or class orders and must be placed by December 14 to me or via the Hostess Code provided. Class Details—We'll be using 1/2 a pack of Lullaby Designer Series Paper to create the pages and pockets of the note book. After adding some lightweight chipboard covers, we'll bind the book, add the calendars, then finish decorating the cover with Flower Patch stamps and Flower Fair Framelits. Note: The spiral binding will be white, not silver, on the class projects. It will also be a little larger, so the note book can accommodate more cards. Class-To-Go Kits Available—Not able to join us at the local class? Order a Class-To-Go Kit! Due to the spiral binding, the basic organizer note book will be pre-assembled & bound for you for an additional $5 fee. You'll add the included calendar pages, then decorate the cover with your own stamps & inks. The kit will also include the Oval Accent die-cut for your title, two 1/2 sheets of Whisper White card stock for stamping your own flowers, Hello Honey Stitched Satin Ribbon and some Rhinestones. Class-To-Go Pricing—$25, plus $5.60 Priority Shipping fee, if necessary. Or, receive the class for only $5, plus shipping, when you place a $50 order using the Hostess Code: 2Z9XDZXW. The class fee and $5.60 Priority Shipping fee can be paid via PayPal or credit card. Place A Qualifying Order At My Online Store! Use Hostess Code: 2Z9XDZXW. Currently Looking For Club Members For Our Next Group—You're already taking the classes, why not earn Hostess Benefits at the same time?! Contact me if you'd like to be put on the waiting list. Contact Me To Attend The Birthday Card Organizer Class! Don't you just LOVE the new 2013 In Colors?! They may be my favorite In Color release yet! I think it's because the colors are so soft and just flow together so naturally. They remind me of yummy candy—simply delicious! I thought it'd be fun to compare them with other colors in the Color Collections recently updated with the Color Refresh. Plus, several stampers have asked me how I store my card stock, so I'll also give you a little video tour of my card stock organization. First, let's check meet the new In Colors! Please Note: These comparisons are meant to give you a reference of how the colors look in relation to each other, but between my camera settings, my photo editing, and your screen calibrations, the colors may not be accurate. Strawberry Slush—The name perfectly describes this color. Straight from the Slurpee at 7-11, this strawberry color is a little lighter, brighter and more pink than its In Color cousin, Primrose Petals. It's also much lighter than Rose Red, with a tad more orange. Crisp Cantaloupe—This muted peach color is about the same intensity as Blushing Bride with a bit more orange. And, it's like a lighter version of the Calypso Coral color, making those two a perfect paring! Baked Brown Sugar—A hands-down favorite for me! I love Soft Suede, and Baked Brown Sugar is like a lighter version of that color. So soft and the perfect neutral to add to the In Color mix! Where Crumb Cake is a basic, cardboard-like tan, Baked Brown Sugar is so rich and warm! Love this one! Pistachio Pudding—A very light and pretty shade of green—summery. It's not really a lighter shade of Pear Pizzazz, because it doesn't have the yellow undertone. But, I think it pairs nicely with the much darker Wild Wasabi. Coastal Cabana—I was really curious about how this color would look against the similar, new, Color Refresh colors: Soft Sky and Pool Party. It's darker and more vibrant than either of those, and truly looks like a lighter shade of Bermuda Bay. Pool Party is like a much lighter shade of Island Indigo. Soft Sky is lighter than Coastal Cabana, with a tad more blue. Swatches Details—My swatches were punched with the new Artisan Label Punch. The color names were printed onto Whisper White and punched with the Small Oval Punch. The 2-1/2" x 5-1/2" colored backing is layered with a 2-1/4" x 5-1/4" piece of Whisper White card stock stamped with the Creative Elements flourish in the corresponding color. How Do You Organize Your Card Stock? I get this question all the time, especially when we are re-organizing from a color update like the new Color Refresh. I updated my card stock files a few weeks ago, so I thought I'd give you a peek at my system. Check out my Card Stock Organization video. I've been using my hanging file folder system for more than 8 years and it works very well for me. I like it because it's very compact, it keeps the card stock clean, and it's easy to store (and find) scraps in the color I need. When I first started, I didn't have a filing cabinet, so I just used filing crates. This was great for my limited space and for mobility. Later, I upgraded to a small metal filing cabinet to keep the card stock dust-free. Now, I have them stored in my 17x17" modular storage system. How do you store your card stock? I would love to know what tips you have to share! Let me know in the Comments Section below. Have you planned your Sale-A-Bration workshop or private class with me yet? My dates are filling up quickly...contact me today! I'm just starting to dabble in MDS2 Digital Designing software and I'm always amazed at what some of my fellow demonstrators are creating with it! It really is a versatile graphic designing tool with the bonus of being all about awesome Stampin' Up! images! For today's Sunday Showcase, I thought I give you a teeny-tiny glimpse of some of the creative ways you can use MDS2 to get organized for the new year! Click on the link under each photo to learn more about how the project was created. Created by Brenda Marshall. See all the months in her My Digital Studio Gallery. Daily Planner—Brenda created a beautiful Daily Planner in a soft-cover, 11" x 8-1/2" book format. I love that she decorated the left side of the planner with photos of her family in a scrapbook-style layout. Click the link above to see more months from her planner. Wouldn't these be fun to create for a gift for family and friends for next holiday season? Fun and functional! Start with the 2012 Daily Planner Photobook Template (you can use it for any year) and customize as much as you want! Printing cost for this size book is $24.95. Created by Dana Kent at LoveLeighStampin.com. Perpetual Birthday Calendar—Dana used the Book of Birthdays swatchbook template to create a helpful project to keep birthdays top-of-mind all year! She printed out the templates pretty much as is, then mounted them in a picture frame bulletin board style! It's home décor with a purpose! Oh yeah! You can print the Book of Birthdays pages out on your own printer, or have them professionally printed for $9.95 through Stampin' Up! Created by Monika Davis from Stamping Together At Monika's Place. Business Planner—Monika also created a 11" x 8-1/2" soft-cover planner, but instead of family photos, she added places to track her monthly business numbers, goals, calls to make, etc. There's even an annual summary page in the back. She used the Keep in Touch Hostess Digital Content CD. For only $8 in Hostess Rewards, you get a 10-piece stamp brush set, 12 Designer Series Papers, and 20 coordinating embellishments! Created by Carrie Rhoades at CarrieStamps.com. Meal Planner Ensemble—Carrie started by creating a framed daily meal planner wipe-off board to keep track of breakfast, lunch and dinner menus for the week. The next project was another wipe-off board to keep track of the list of items she needs to purchase at her three favorite grocery stores. Finally, she designed a grocery list by category and listed the categories in the order that she shops for each each one. She took the graphic to a local copier for them to make it into a convenient tear-off notepad. Too Cool! Created by Cindy Schuster at Nutmeg Creations. Pantry Inventory Lists—OK, this is more my speed right now! Cindy created a simple "Items To Restock" list to keep handy by her pantry. I'm already loving MDS2 for making quick (and sometimes decorative) lists. I'm finding it to be the perfect designing tool for organizing all kinds of things—calendars, goals, labels, nametags, notes, instructions and more! Created by Amy Brown at My Digital Studio Gallery. Family Job Chart—All you moms will love this idea! What a great way to keep track of all the tasks and responsibilities for each family member! You could have the jobs pre-printed on the chart, or laminate the chart for a wipe-off board. Great idea! Created by Patty Bennett at Patty's Stamping Spot. Goals Journal—This is my favorite project of all! Patty designed a custom journal and added printed tabs to divide it into easy-to-find sections for her notes, ideas, meetings, to do lists, and prayer list. Wow! That's so handy! It's another great idea for personalized holiday gifts next year...hmmm... Professionally printed, hard-cover journals with 80 lined pages are at $19.95. Some pretty awesome ideas, wouldn't you agree?! I hope these projects have inspired you to think about MDS2 as something much more than just a digital scrapbooking software. It's possibilities are truly unlimited! Try digital designing for yourself by downloading a FREE 30-Day Trial of MDS2. MyDigitalStudio.net is a fantastic, one-stop My Digital Studio Resource Center with video tutorials,tons of project ideas, print pricing info, a discussion forum and more! Well, I'll be back from the Stampin' Up! Leadership Conference later today, and I know that I'll have LOTS of exciting details to share! Stay tuned for the recaps coming this week! Betsy's Blossoms Corner Catcher & New Catalogs! How about another sneak peek from the upcoming 2012-2013 Annual Catalog? Woohoo! The new catalog will be released on June 1. Learn how you can receive a FREE catalog at the bottom of this post! But first, let's check out some images from the new Betsy's Blossoms stamp set! I created Two Cool Corner Catchers, which is a fancy name for bookmarks! See how these cute little card stock pockets fit onto the corners of the pages of a book, magazine or altered composition notebook? Too Cool! This is the back of the corner catcher showing the pocket. Both corner catchers are decorated with images from Betsy's Blossoms stamp set. Here you see a bold flower shape layered on top of leaves. The images match the Floral District Designer Series Paper, another catalog sneak peek, that I have in the background. This version features a bird that is also in the same stamp set. And, look how the Boho Blossoms Punch flowers match that designer paper! Coordination, baby! Speaking of coordination...this project could have been coordinated much better! When I first looked at this paper I thought that it featured the new Primrose Petals and Raspberry Ripple colors, so that's the ink I used to stamp my images. Upon closer inspection, I realized that the paper really features Rich Razzleberry and Rose Red instead. Silly me! I hate that it doesn't match perfectly...Stampin' Up! has spoiled me that way! Start with a 4x4" piece of card stock. Using the Simply Scored Diagonal Plate, score at the 2" mark (photo #1). Rotate the piece counter-clockwise a quarter turn, then score again at the 2" mark (photo #2). Fold those two corners down to create a point. Place a 3-3/4" x 1-3/4" piece of card stock on the Diagonal Plate and score at the 1-7/8" mark. Flip the piece over left-to-right and score again at the 1-7/8" mark (photo #1). Cut along the score lines, and adhere the triangle to the back of the corner catcher to secure the folded flaps down (photo #2). Cut a 3-3/4" square sheet of decorative paper. Use the Diagonal Plate to score at the 1-7/8" mark on both sides to create a point just like you did for the back panel. Cut along the score lines, then adhere to the front of your corner catcher. Receive A FREE 2012-2012 Annual Catalog! I have brand spankin' new Annual Catalogs in my possession and I'm ready to share them with you! Want one?! Well, of course you do! Here's how you can receive one for FREE (with no shipping charge), effective immediately! Too Cool Club Members—Will automatically receive one...check your mailbox soon! Become A Hostess—Schedule a workshop or private class with me in the Fort Wayne, IN, area! ***FREE catalog offer cannot be combined with additional promotions, discounts, or incentives. Purchase A Catalog: If you do not otherwise qualify for a FREE catalog, you may buy the catalog from me for $5, plus $5 for priority shipping, beginning June 1, 2012. You'll be credited (or reimbursed) $5 when you place your first order from that catalog. Contact me for payment details. Are you loving the new Framelits and Edgelits as much as I am? I LOVE them! While surfing the blogs to find new ideas, I've run across several helpful tips that I thought I'd pass along to you. If you see any others, please feel free to let me know so I can add them to this post. Magnet Sheets—One thing I did right away was cut a Magnet Sheet to fit inside the nice plastic envelopes that these dies come in. It works great as a way to keep all of the nested dies organized, and easy to pull in and out of the envelope! Then, I found an idea on Diana Gibb's blog about making the magnetic sheet pretty by adding Designer Series Paper of your choice! Love it! See her idea here. I SNAILed on some Flirtatious DSP on my Hearts magnet, and some Beau Chateau DSP on my Labels magnet. Another alternative is to use the magnetic sheets in a DVD case. You can hold both styles in one case, or put each style in its own individual case. Frenchie Stamps presented this idea on her blog. I really like this idea, but Stampin' Up! has already told us to expect more Framelits to come, so I wouldn't recommend doubling them up...we need room to expand this collection! Woohoo! Store Edgelits With Folders—For the Edgelits, you could those on a smaller Magnet Sheet, and store them in the plastic folder along with the coordinating Adorning Accents Impressions Folders. Very handy! Big Shot Storage Boxes—In the Hearts Framelits training video from SU, Donna Griffith showed how nicely that the Framelit plastic envelopes will fit in a Medium Big Shot Die Storage Box after removing the storage insert. Even though there are only three styles to store right now, she recommended this storage option because SU will be coming out with more styles in the future! Sometimes keeping these thin dies in place while running them through the Big Shot can be a little tricky. I've come across a couple suggestions to help with this problem. Use Dotto—For temporary, but more secure positioning, considered adhering the die to the Cutting Pad with Dotto repositionable adhesive. Just apply a couple dabs to the flat side of the die, then adhere to the Pad in the approximate area you need to cut, and adjust to line it up where you want it. Works like a charm! Keep An Unused Cutting Pad—I was having trouble seeing through my Cutting Pads because they were so worn, so I would highly recommend dedicating at least one Pad to the top layer of your Framelit/Edgelit sandwiches. I know many demos who have a separate Cutting Pad pair strictly for their embossing folders, so they don't leave unwanted cut marks in the embossed card stock. You could use one of these dedicated pads for the top of your Framelit/Edgelit. Permanently Mount Edgelits—Here's a time-saver tip from Deb Valder! Again, you would need two Cutting Pads that you could dedicate to Edgelits only. Since the Edgelits are the exact width of a Cutting Pad, there isn't any room for error as you run them through the Big Shot. If they are not lined up with the Pads, they could very likely bend and be ruined. Deb suggests using Sticky Strip to permanently mount each Edgelit to its own Cutting Pad. In addition, she recommends adding Grid Paper to the other Cutting Pad, so that it is easy-peasy to line up your project for cutting. She gives complete instructions on how to do this at her blog. I just did this with my Edgelits, and I really like how quickly and easily I can line up my borders for cutting. 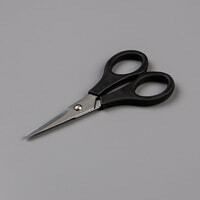 With new die-cutting tools begin introduced, there is certainly some room for confusion when it comes to what cutting plate sandwich to use with which die. Sometimes you need Tab 1, sometimes Tab 2, sometimes a crease pad...it's easy to forget. I've compiled a list of all types of Sizzix Dies and Folders with recipes for cutting each one on a Big Shot Sandwich Chart (ETA: corrected link!). It's not very pretty, but the information is all there in a concise format. If you would like my original Word document, just email a request. Of course, all of these sandwich recipes are also located in the Idea Book & Catalog next to each style of die/folder—a great reference to know about, especially for new die-cutters! Got any other tips for these new dies? Let me know so I can share them! OK, stampers! Are you ready for a little sneak peek from the Holiday Mini? 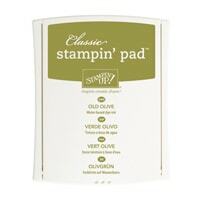 One of our Convention Make & Takes was a Stampin' Card Keeper! 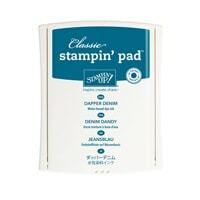 I know that many of you were disappointed last year when Stampin' Up! retired the plastic, snap-together Craft Keeper. In September, they'll be introducing a new style of card box that is easier to customize and decorate, and just as functional! Woohoo! It's a heavy-duty, white paper-covered chipboard box that you can use to organize all of your standard-size cards by month, theme, or holiday. You can personalize the box with Designer Paper, stamping and embellishments to make it your own! It comes with patterns for covering the box, and the metal label holder attaches after you've decorated. I love the possibilities! And, who doesn't need a card holder for all of the fabulous cards we create?! Oh yeah! We covered the lid with Timeless Portrait Designer Fabric (ooohh, I'm loving this black & white pattern!) using Sticky Strip to hold it firmly at the edges. The blossom is created by layering lots and lots of elements: Fancy Flower punches in More Mustard and Cherry Cobbler, Blossom Petals in Cherry Cobbler and Lucky Limeade (for the leaves), and Lace Ribbon Border medallions in Island Indigo for a pop of contrasting color. All of the petals were crumpled and stacked on LOTS of Dimensionals to create this 3D look. We added a Clear Crystal Bauble to the flower center for an eye-catching accent! Beautiful! The box comes with six white paper-covered chipboard dividers that are also customizable. We added Timeless Portrait DSP (swatches shown above) to match the fabric on the box lid. Very nice! The new Mini catalog doesn't come out until September 1, but let me know if you'd like a copy sent to you as soon as it's available. If you do not already have a relationship with a demonstrator, contact me with your mailing address by July 31, and I'll make sure that you are on my Holiday Mini mailing list. Today, I'm sharing more of the lovely projects that my Stamp Club attendees brought to our event last week. Created by Carmen DeBruce. She used the Flower Fancy stamp set and the Elegant Lines Impressions Folder for this pretty card. The raised texture was highlighted with White Craft Ink. She CASEd this card from Andrea Walford. Here's a great way to keep your notes organized—an altered file folder! Created by Carmen DeBruce and featuring the retired Thoroughly Modern File Folders. See instructions on making your own at this Altered File Folder video tutorial by Jenn Diercks. Do you know someone who'll be graduating this year? This is the perfect card to make! Carmen created this one with the Go Graduate stamp set and a fantastic Grad Hat Card tutorial by Dawn Olchefske. Isn't this a lovely card? It's all a single layer of stamping! Carmen created this using the Lovely As A Tree stamp set and a combination of brayering and masking techniques! Simply stunning! The sentiment is from Curly Cute. Kathy Kolb created this beautiful card as a thank you for a dinner party she attended. You can see the Medallion stamp in the background, and the spoon, knife and fork images are from Compliments To The Chef! She even decorated the inside of the card beautifully! Linda Cox created several cards from the Nature Walk set. The first one features a pretty, hand-folded, satin ribbon rose that looks very much like the Rosettes that are in the Occasions Mini Catalog. You can make your own using Jackie Topa's Satin Roses tutorial. Here is another one of Linda's Nature Walk cards, combined with the Aviary and Sincere Salutations stamp sets. I love the tag with the "no. 147" stamp! So cute! Linda CASEd this 3x3" mini card from page 25 of the Occasions Mini. I love all of the sample projects shown in Stampin' Up! catalogs and flyers—lots of creative inspiration! There are always such great ideas ready to be recreated by YOU! Peggy Tassler created this beautiful springtime Drawer Box for her daughter's Valentine's care package. I love her use of the layered flowers and the cute little butterflies from the Beautiful Wings Embosslit. You can find instructions on making this project at Splitcoast Stampers: Drawer Box. Peggy also created these lovely floral cards with the Eastern Blooms stamp set! These blooms are terrific for layering! Another cool layered flower card was created by Carmen using the Floral Fusion Sizzlit Die. She CASEd a card created by Nance Lempinen-Leedy: Cascading Flower card. And here are a couple more done by Peggy with my favorite purple and green color combinations! Wow! So many great ideas! Thank you everyone for sharing your awesome creations! Spend $50 —For every $50 order, you can select one FREE Sale-A-Bration product of your choice! Order Online now! Host A Workshop—Host a workshop of at least $300 and earn fone FREE Sale-A-Bration item of your choice, in addition to the generous hostess benefits! Contact me today! Join Stampin' Up!—Become a demonstrator during Sale-A-Bration, and receive 15% off your Starter Kit! Plus, get a bonus product bundle filled with more than $50 in FREE products! The Bonus Bundle includes a Color Coach, any Simply Sent Kit, any Simply Sent stamp, and any $16.95 punch! Learn about all the benefits of being a Stampin' Up! demonstrator, then sign up today!